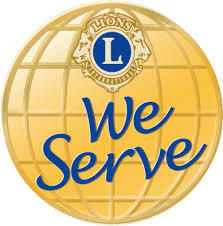 The major focus of Lions fund raising activities is sight conservation, although other projects are pursued such as drug awareness programs in high schools, diabetes awareness programs and other programs that are specific to individual Clubs and Districts. Lions took up sight conservation as their major goal after a speech given by Helen Keller at the Lions International Convention held at Cedar Point, Ohio, in 1925. At that time, Helen Keller challenged the Lions to become “Knights of the Blind”, a challenge that has become a rallying cry for Lions projects around the world. Lions work in the area of sight conservation is carried out at many levels. Individual Clubs sponsor free eye screening programs using mobile eye clinics. In many countries, Clubs sponsor eye surgery camps where cataract surgeries are performed at no charge for those that can’t afford this medical care. Many clubs collect old eye glasses for distribution to the needy in other countries. The International Association of Lions Clubs is the largest non-governmental organization associated with the United Nations and was called upon by the United Nations and the World Health Organization to raise funds for an international program of sight conservation. It has been estimated that 40 million cases of curable and preventable blindness exist on this planet today. Without intervention, this is projected to become 80 million by the end of the decade. The International Association of Lions Clubs began a program of fund raising that they called “Campaign Sight First” in order to cure/prevent 40 million cases of blindness worldwide. Over $148,600,000 has been raised by Lions all over the world for this program. Eye hospitals are being built in the places that most need them. In India alone, over 300,000 cataract surgeries have been performed and that number is rapidly growing. Lions services to humanity range from purchasing eyeglasses for a child who’s parents can’t afford them to multimillion dollar programs to cure blindness on a worldwide scale.